The VAG maintains a series of databases and other resources with information on Vernacular Architecture. Bibliography Volume 6 has now been completed and incorporated into the consolidated online bibliography. In principle, this virtual volume covers the period 2007-11 although in practice the cut-off date is fluid. If you would like to help with searching publications to include in Volume 7 (2012-16), please email bibliographer@vag.org.uk. The Group's Index of Tree-ring Dates is available online and is updated annually, following the publication of new results in Vernacular Architecture. Hosted by the Archaeology Data Service. A useful set of tables of tree-ring dating reports compiled mainly from entries published annually in Vernacular Architecture and available in two forms: national lists arranged mainly by half-century and county lists approximately in chronological order. These tables provide an additional resource to the Dendrochronology Database mentioned above, and build upon the data available there. They were prepared by Bob Meeson and are discussed in his paper, 'Structural trends in English medieval buildings: new insights from dendrochronology', Vernacular Architecture 43 (2013),58–75. The tables for England were updated in December 2018 and for Wales in October 2016. The Group's list of cruck buildings (printed in 1981: CBA Research Report 42, NW Alcock, Cruck construction - an introduction and catalogue) has been extensively updated and is available online. Hosted by the Archaology Data Service. 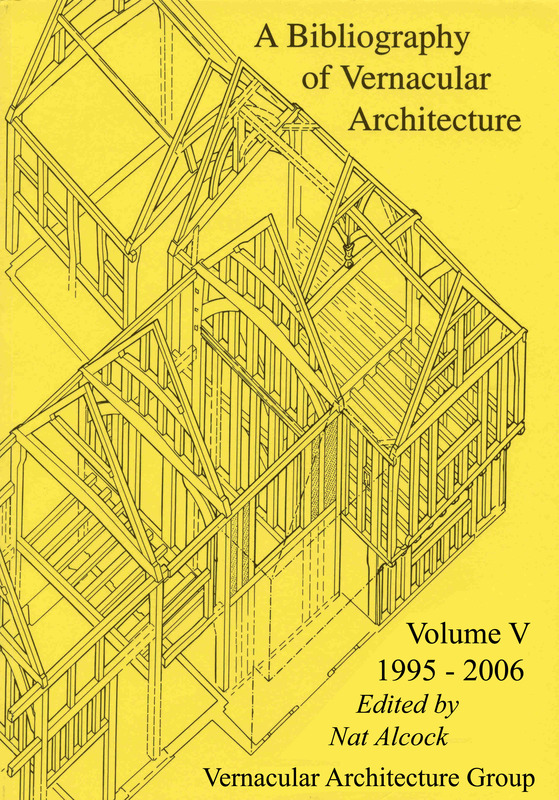 The Research Report itself is also available (Cruck construction - an introduction and catalogue). The list of known Wealden Houses, as discussed and mapped in N W Alcock, 'The Distribution and Dating of Wealden houses', Vernacular Architecture, 41 (2010), 37-44. Hosted by the Archaeology Data Service.